Choose from 130 clan crests, each approved by the Standing Council of Scottish Chiefs. Available in solid silver, gold and pewter. 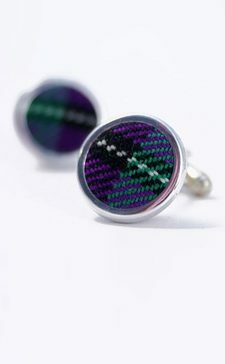 Rhodium cuff links depicting the Saltire and Lion Rampant flags of Scotland. A selection of pewter cuff links in intricate Celtic knotwork designs. Iconic thistle emblem cuff links available in silver, gold and pewter. A selection of Irish emblem cuff links; available in pewter, rhodium and chrome. A selection of cuff links depicting the iconic Welsh dragon. Available in pewter and rhodium. Stunning pewter Charles Rennie Mackintosh style cuff links. Complete with matching presentation box. A selection of contemporary rhodium cuff links in patriotic British designs. A selection of chrome and rhodium Masonic emblem cuff links.